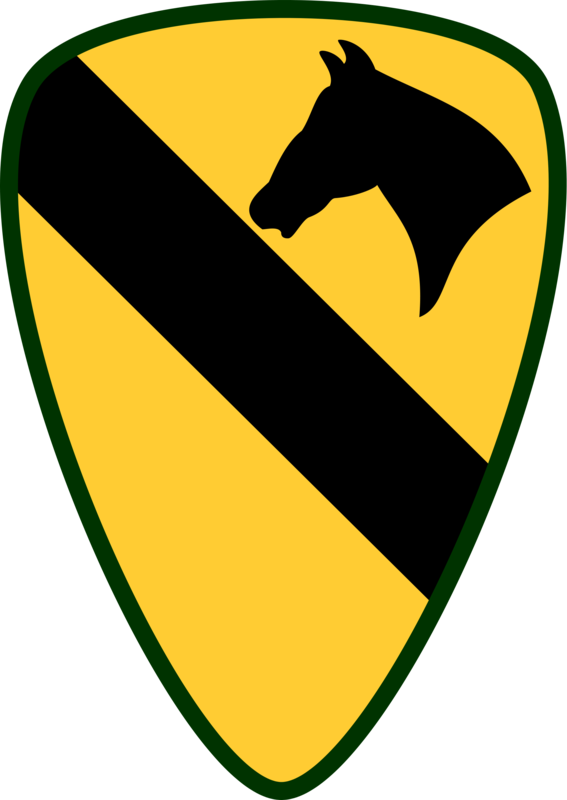 The 1st Cavalry Division gave up its horses and first saw combat in the Pacific Theater during World War II. As part of the island hopping campaign, the 1st Cavalry Division fought and defeated the Japanese during the invasion of the Admiralty Islands, Leyte, and Luzon. The division was also the first to enter Tokyo during the occupation of Japan. The division also served in the Korean War. It was one of the first divisions sent to shore up the Pusan Perimeter. After the landings at Inchon, it was part of the offensive north that captured Pyongyang, where it served as a security force. It was then ordered to head to Unsan. During the Battle of Unsan, the division was attacked by overwhelming Chinese forces and its 1st Battalion, 8th Cavalry was almost completely destroyed. The division was soon rotated back to Japan. The division next served in the Vietnam War, where it was an air assault division and pioneered the air mobile tactics that became famous during the Vietnam War. Its most famous fight during the Vietnam War was the Battle of Ia Drang, where it defeated a communist force despite being outnumbered, and it demonstrated the effectiveness of air mobile tactics. The division also fought in Hue during the Tet Offensive, during the relief of Khe Sahn in Operation Pegasus, and during Operation Delaware. During all of those operations, it defeated numerically superior communist forces and served with distinction. The division rotated back to Fort Hood in 1971, by which time it had suffered more casualties than any other Army division. During the remainder of the Cold War, the division served primarily as a test bed for new tactics and equipment, and was one of the first units to use the M-1 Abrams tank. The division then served as an armored spearhead during Operation Desert Storm, and as a peacekeeping force in Bosnia. The division most recently has fought Islamic radicals in Iraq during the Second Battle of Fallujah, and in Afghanistan as part of Operation Enduring Freedom.